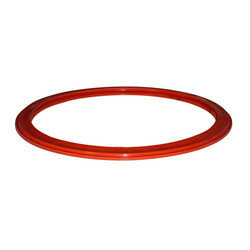 Our company has gained name and fame in presenting Autoclave Door Gasket. Size: 0.5 mm OD to 125 mm OD. We put forth for our clients a varied range of Silicone Extruded Door Gaskets, which is manufactured using finest quality food-pharma grade pure silicone rubber. Our door seal gaskets are made for Washing Machines using high quality EPDM rubber and designed to eliminate any leakage. Kindly get back to us on your needs and our sales representative will get back to you. Size: 1/4 inch to 12 inches.